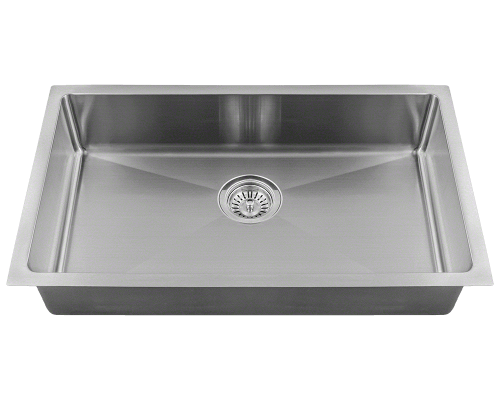 At MR Direct, we offer beautiful kitchen sinks, but we also have a wide range of utility sinks. 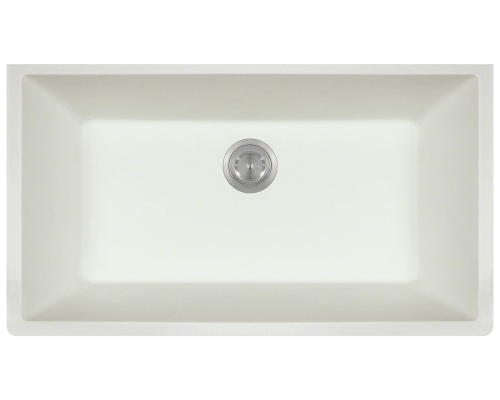 Whether it’s a large laundry room sink used for soaking clothes, filling buckets, washing out rugs or comforters or a small and tucked away hand-washing secondary kitchen sink, MR Direct has what you’re looking for. 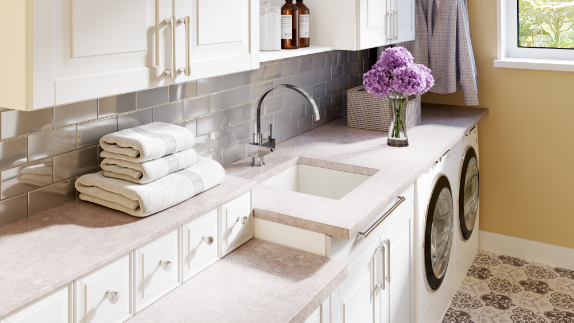 In order to be optimally functional, a laundry utility sink should be strong and reliable, but that does not mean you have to compromise on aesthetics. 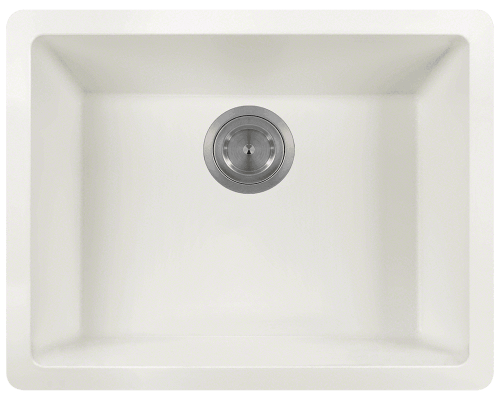 Our utility sinks don’t make you choose function over style. 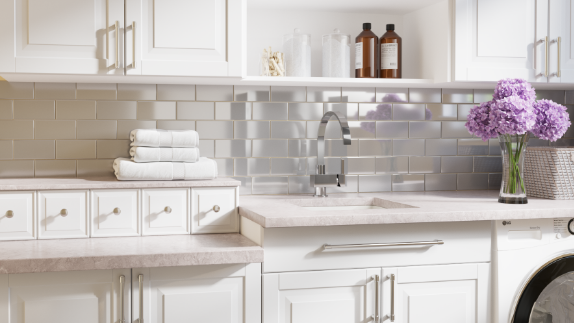 With many choices, you’re sure to find the sink that fits your taste. 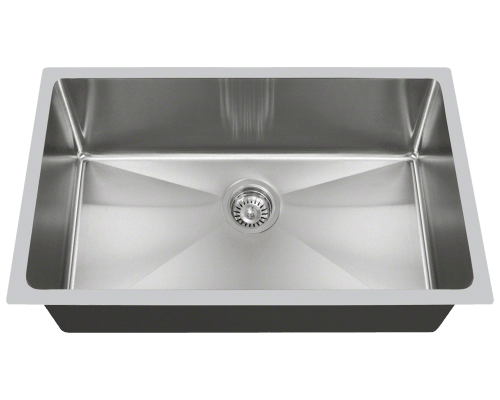 Our stainless steel utility sinks are not only backed by a lifetime warranty, but they also come in 3 gauges, from the traditional and affordable 18 gauge, the strong and sleek 16 gauge, all the way to the practically indestructible 14 gauge. 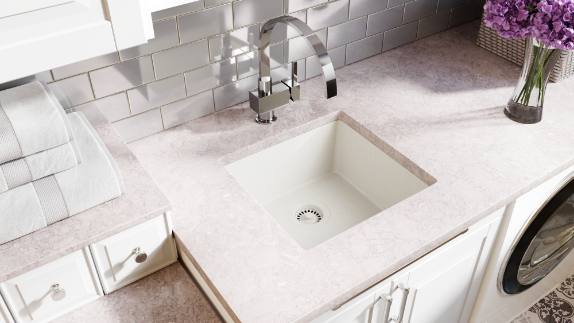 Each comes complete with sound dampening pads to help keep your sink quiet, and insulation to prevent condensation under the sink. 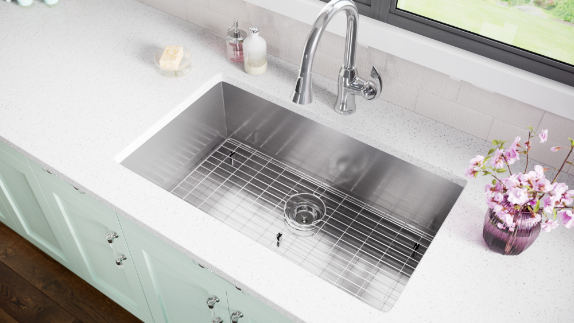 Our beautiful TruGranite sinks are made from a solid granite composite material that is comprised of 80% Quartz and 20% Acrylic. TruGranite is stain and scratch resistant and can resist heat up to 550 degrees. The TruGranite sinks come with a lifetime warranty as well. 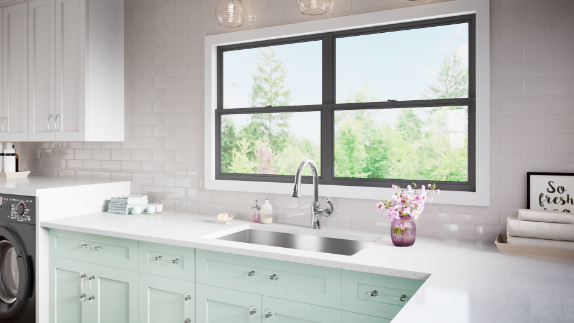 Available in 6 gorgeous granite colors, you’re sure to find a sink that either blends in beautifully or boldly stands out from your countertop.